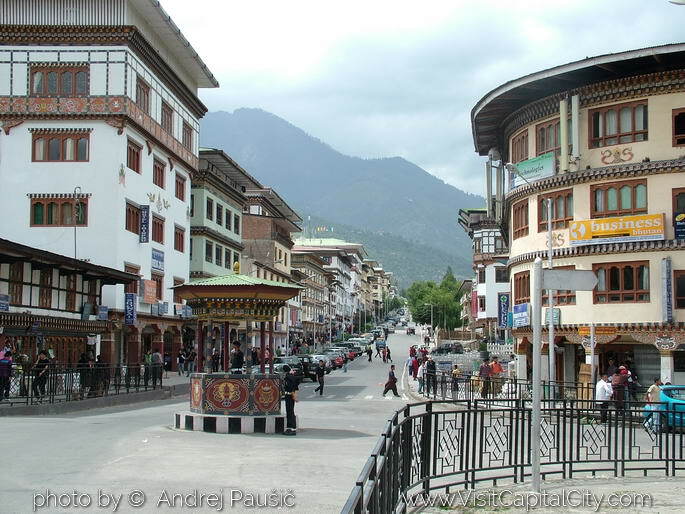 As the Capital City of Bhutan, Thimphu has been undergoing a major transformation over the years with numerous developmental activities coming up in all corners. With various modern facilities and infrastructures in place, the city has been considered a safe haven for thousands of Bhutanese people who come here for education, employment and business. However, with the rising cases of senseless murder, burglary and robbery over the recent years, I think Thimphu is now losing the glory of its past. There are many people who no longer feel safe here today. A couple of weeks ago, one of my cousin sisters had come to see me. She had actually come for her daughter’s treatment. Although she said it was her first time coming to the Capital City, she seems to know about the life here more than me. After having heard how a few boys from her village had been killed in gang fights in Thimphu, she has developed a completely different perception about the Capital City. She said she was terribly worried when her bus got here late. “I had to hastily look for a taxi and hurry away to my relative’s house” she said in a concerned voice. Well, my cousin sister is not the only one who does not feel safe in Thimphu today. With drug users and gang-members freely wandering along the streets at any given time, it is no longer safe for us to be alone in the city nowadays especially at night. Even the slightest accidental dashing can provoke them and put you in a vulnerable situation. People who are high on drugs and alcohol do not have the capacity to think rationally and there is every chance that they might see you as one of their former enemies. That’s the most dangerous situation you can ever be in. For instance, the student who was stabbed to death at Changangkha last year was said to be mistaken by his attackers as one of their enemies. With two growing sons, such negative developments are becoming a big concern for me and my wife, and I guess it must be the same for all the parents in general. But although we can’t control the situation in the city, I think we can at least do what we can on our part to keep ourselves safe. I and my wife have already started telling our children why they should not stay out late and mingle with strangers. We have promised that we would never let our children wander in the city during the odd hours when they grow up. We strongly believe that if we the parents can take good care of our children and make sure they are home at night, I think such crimes won’t happen. The police alone cannot make the city safe for us. We must also share the responsibility by being good parents to our children so that they are always shown the right path to walk in their life. It may not be always correct but most of the perpetrators of crimes appear to be the children from either broken families or those who are living with guardians. This indicates that the lack of parental care, love and guidance is the main factor that makes children vulnerable to the influences of bad companies and leads them to commit such crimes. So the biggest chunk of responsibility indeed falls on parents and guardians since they have closer connection with their children than anybody else. If parents fail to take care of their children, then nobody can. As social animals, we all long for attachment and interpersonal connection. Our children also want to feel loved and cared. When they feel aloof from the attention of their parents and guardians, they would try to seek attention from elsewhere. It is at this point of time that they can make wrong choices. When people with similar experiences come together, they can do anything to please each other within the group. So as parents, we must always have our eyes on our children. We should be always conscious of what they are doing or with what kind of friends they are mingling. We should make sure that we always have time for them whenever they need us and make them feel important in the family. A deep bonding is key to the happiness of a family. Hence, it is important to engage our children meaningfully by organizing frequent family outings as such outdoor fun activities help in fostering greater understanding and stronger relationship among the family members. I don’t think a well nurtured child will grow up into an aggressive and antisocial teenager. No matter how much our teachers try to teach values to your children in the school or how seriously the police do their job, I think it is parenting that matters the most at the end of the day. However, it does not mean that Thimphu has become really unsafe. We still enjoy lots of peace and harmony. But before things could go really wrong, let us all work together to make this city as safe as it was before.